The dimension of pasta as a global food is demonstrated not only by its diffusion worldwide, but also by the many typical specialties of every single geographical area. In North Africa without a doubt couscous is the main product, accompanied in recent years by a huge increase in the consumption of dry pasta. 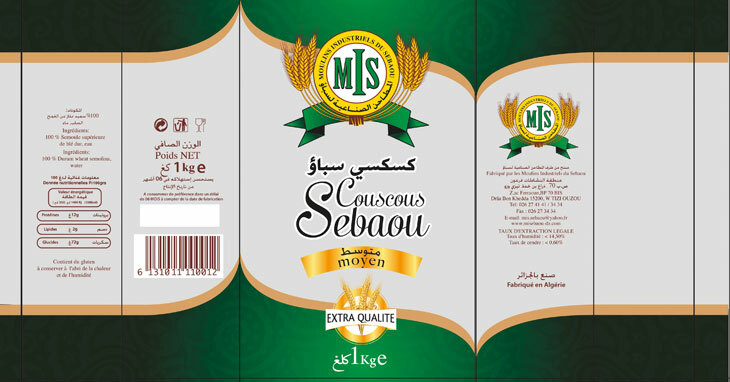 The history of SARL MIS (Moulins Industriels du Sebaou) is that of a mill which, aiming to vary its product range and improve profitability, decided to become a producer, starting from couscous and dry pasta. A company, therefore, that found itself needing to find a partner able to support every phase of this process: seeking a complete and technologically advanced solution including not only the production plants but everything connected to its supply and operation. The choice of SARL MIS fell on Storci, with the purchase of a 500 kg/h couscous line and an Omnia multi-shape dry pasta line. From storage of the raw materials to packaging, our company guaranteed a well-defined and structured procedure, supporting our customer throughout all the project stages. The Zeggane family, owners of SARL MIS summed up their partnership with Storci in the following words: “Having a single reference partner for us meant a great deal. Storci has all the knowledge we needed not to mention a network of highly reliable local suppliers which meant we could bring all the project stages to a successful conclusion. Storci’s Area Sales Manager for the Maghreb, Giovanni Strinati, and its President, Anzio Storci, were present and available at all times, providing clear and comprehensive answers to all our doubts and requests so that we could reach an outstanding result”. These exceptional results that are our goal every time we find ourselves working side by side with our customers.